Brain development is highest during the first four years of life. The brain is forming important neural paths to help develop the child's ability to perform and function and learn well. 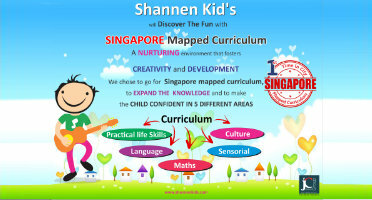 Children are able to learn at a rapid rate and want and need to learn new information. I've heard so many teachers and parents remark that at this age their child's brain is like a sponge. Their brain absorbs information and stores it, often feeling saturated with new input (another important reason your child needs at least 10 hours of sleep). But that is precisely one of the functions of the brain. Your child can benefit immensely when interacting in a quality preschool which is content rich with appropriate information and materials. Going hand in hand with brain development is structure. Structure is vital for the young preschooler and the child thrives in a loving, structured environment with stimulating colors, sounds, textures, classroom layout, varying activities and books. The child learns routine and expectations and begins to look forward to the next activity. Their little brains help them process these codes of familiarity and it gives the child a sense of security and belonging. Once they are settled into the structure and routine of the preschool classroom, it begins to build a solid framework for their future school career which will be much more structured and demanding. Social skills are next on the list and they are important to learn at this age rather than waiting until School age or later. One of the reasons older children may have difficulty in school is that they never really learned the social skills in preschool. Social skills such as learning how to listen, nice talk, brave talk, taking turns, acceptance of multi-cultural differences, apologies, when to say please and thank you, how to speak in a group, helping each other, learning compassion and empathy. There are so many rich opportunities for a child to develop social skills and every Preschool teacher I ever communicate with always lists these as being the most important skills to learn in preschool. It is important that a child learns early that the world does not revolve around him alone, and it helps the child learn that we live in a world full of many different kinds of people. Academics are now being emphasized more than in past years because there is more research substantiating that a child is able to learn and perform more than what we used to expect. Also, there are more academics in the preschool curriculum now because the schools expect a child entering to know what once used to be taught in Preschool. Are all children going to learn to write letters well at the age of three? No. But given the opportunity to have a writing center with all different kinds of writing utensils and paper, the child will begin to strengthen his fine motor skills which are needed to learn how to write properly. Most Preschools expect the child to enter school knowing how to print the alphabet, numbers 1-10 (some 1-20), write their first and last name, display basic social skills and have an ability to comprehend and follow directions. Last and not least on why preschool is important is the needed space it gives you as a parent to work or have time to pursue interests, hobbies, friends as an adult in your adult world. As a parent, one still needs to grow and learn and give to the community if that is something you enjoy doing. The child needs this time away from his parents and home to learn about the world, about people, about accepting others, making new friends. Children learn trust and independence. Mom can't always be there doing everything for the child. When given the opportunity to do things on his/her own or with a group, the child is learning important work attributes that are necessary in his future. Many businesses and companies work together in teams and depend on each other to contribute and know how to team project. And there are opportunities for the child to learn how to work on his own, at his own pace, making his own expectations and goals. The preschool setting can be that strong foundation for a successful school/work career making it easier to enjoy a fulfilling life.